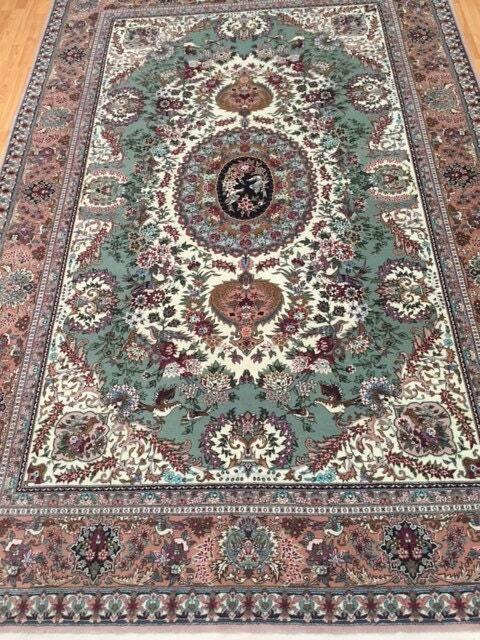 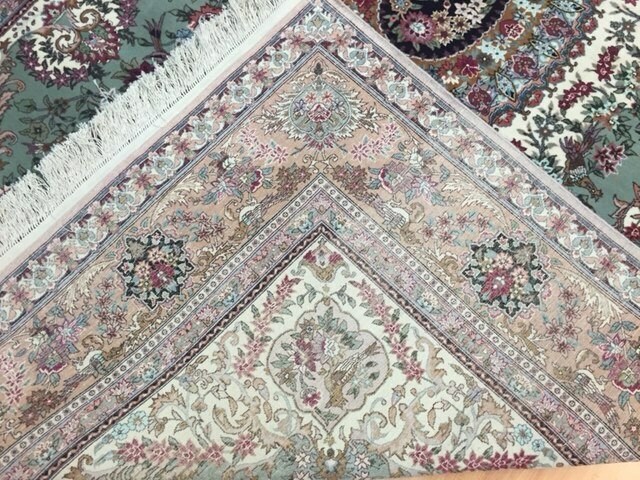 Actual Size: 6'2" x 9'3"
This absolutely gorgeous rug is a brand new 6'2 x 9’3” Chinese with a Persian Tabriz design. 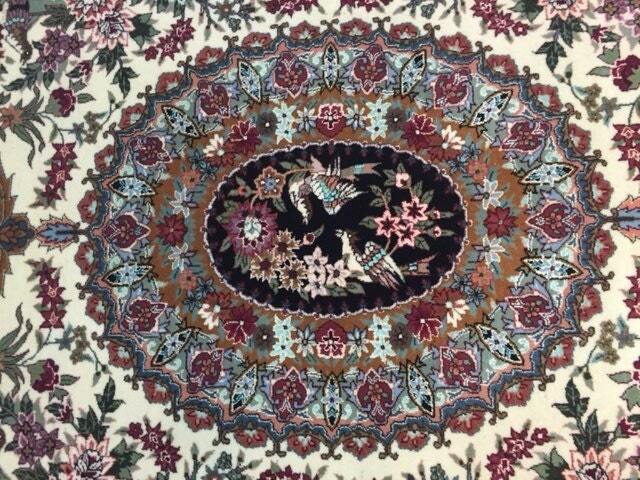 This hand made Tabriz is very fine and is made with wool & silk with a silk foundation. 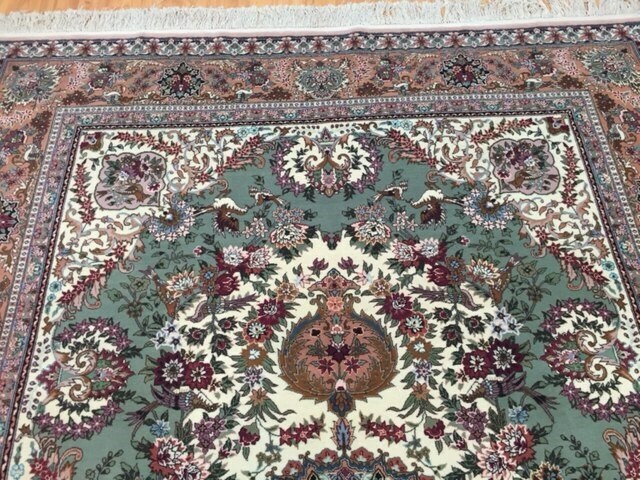 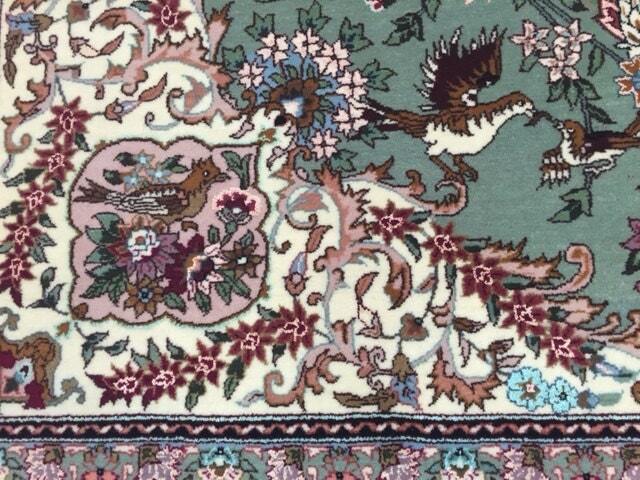 This stunning Chinese rug is as good as a Persian Tabriz!